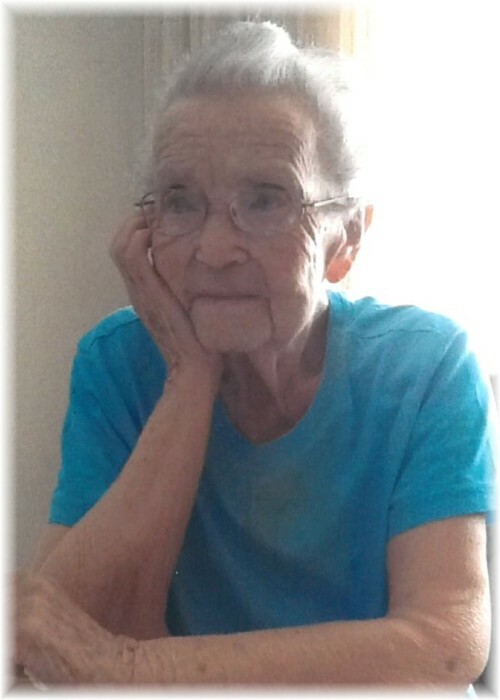 Pat Groombridge was born March 21, 1915 in the district of Bradburn, near Carmen Manitoba and passed away peacefully on April 3, 2018 at the Grandview Personal Care Home at 103 years young. Pat was the second born child to parents William and Susanna Landsborough. She had an older brother Herb, a younger sister Jean (Bessie Jane) and a younger brother Joe. The family moved to the Grandview area in 1920 and settled on a farm in the Tamarisk district, later moving into the town of Grandview. Pat was predeceased by her husband Bert (A.E.) Groombridge on January 11, 1963; her sister and life-long friend Jean (Bessie Jane) Elliott on March 16, 2018; father William Landsborough August 20, 1945; mother Susanna August 24, 1970; brother Joseph November 9, 1995; sister-in-law Martha Landsborough August 25, 2013 and brother-in-law Burdette Elliott October 7, 1981. Pat is survived by five nephews and nieces; Bill (Evelyn) Landsborough, Betty (Lloyd Leganchuk), Tom (Heather Alstadt) Landsborough, Don (Donna) Landsborough and Debbie (Dennis Rudy). Also surviving are members of Bert's family, nephew Lorne (Vicky) Smith; nieces Ina Palmer, Jean Harburn and Alice Britton. Pat and Bert were married May 31, 1940. Pat was a housewife and homemaker all her life. She was still baking cookies at 100 years of age. Pat made the best ever butter tarts, dinner buns and lemon meringue pie. Pat was never happier than when she had company and her and Jean would fix a big lunch for everyone. In her younger years when Pat and Bert lived on the farm, they entertained their nephews for weekends and overnight. On Bert's passing, Pat built a home in Grandview and moved to town where she resided until ten years ago when she moved in with her sister Jean. Pat moved to the Grandview Personal Care Home this past November 2017 and was followed by Jean a week later. Aunty Pat was a very private family - orientated person and will be greatly missed by her entire extended family. A Service of Remembrance was held on Thursday, April 12, 2018 at 2:00 pm from Grandview United Church in Grandview , MB with Rev. Karen Kuzek officiating. Pat's family gratefully declines flowers, however, donations in memory of Pat may be made to the Grandview Personal Care Home, Box 130 Grandview, MB R0L 0Y0.